12 people were killed in Afghanistan by a Taliban-claimed attack on a military compound. According to officials, the insurgents continue to batter the war-torn country’s beleaguered security forces. “So far our reports show 12 have been killed and 20 wounded, most of whom were Afghan security forces,” Akhtar Mohammad Taheri, the head of Wardak provincial council told agencies. The Taliban have been waging a 17-year war against the Western-backed Afghan government and the Taliban later claimed responsibility for the assault. 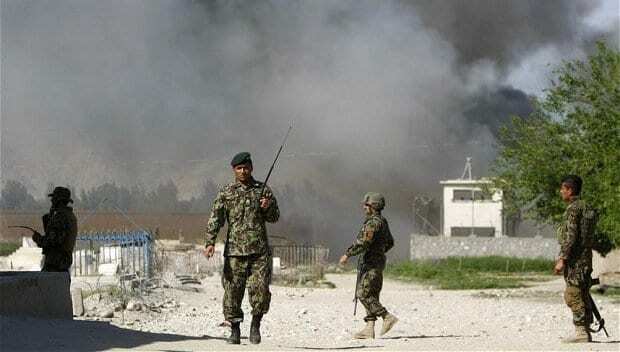 The attack comes a day after a Taliban suicide bomber targeted the convoy of Logar province´s governor, killing at least seven security guards. The recent Taliban attacks come as Washington is stepping up efforts for a peace deal that could pave the way for the Taliban´s participation in the next government, with the US peace envoy Zalmay Khalilzad visiting regional powers this month after meeting Taliban representatives in December.